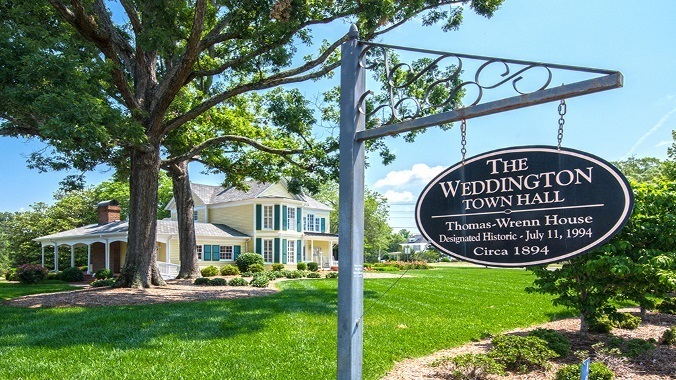 Weddington consists almost entirely of single-family homes on lots of one acre or more. The Town’s only commercial area is located in the vicinity of NC 16 and NC 84 and is referred to as the Town Center. Only 27 of the 11,044 acres within Weddington are commercially zoned. Weddington Corners Shopping Center is located at the corner of Providence and Weddington Roads. The Town Hall is located in this area in a locally designated historic home built in 1894. Weddington is known for its strong school system and sense of community.